A Warwickshire restaurant which was set up after a crowdfunding campaign has been awarded a prestigious Michelin star. 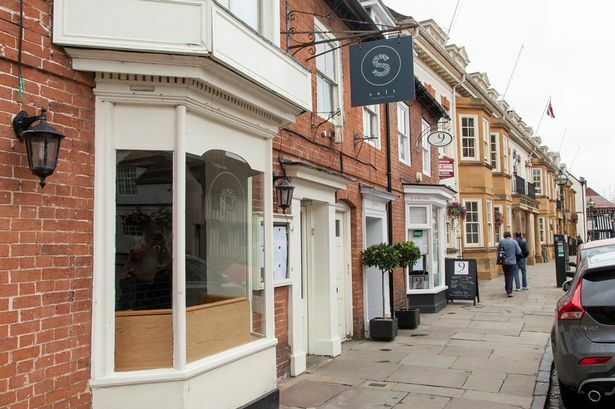 Salt, in Stratford-upon-Avon, opened in March 2017 with £100,000 gathered from Kickstarter investors and its owner Paul Foster&apos;s own savings. Contributors to the business paid as little as £20 to help launch the venture in Church Street which can cater for 40 covers. Mr Foster describes Salt as "a fine dining restaurant using the best produce, served in a relaxed atmosphere where you can sit back, relax and enjoy your dining experience". Following the announcement on Monday, he tweeted: "Today has been the most amazing day of my career and ridiculously emotional." A message posted on the restaurant&apos;s Facebook page added: "We are absolutely delighted to announce that Salt received a Michelin star. "We&apos;re still taking it in but would just like to say a massive thank you to our amazing team for all their hard work and to all our customers for your support." It is latest accolade for the venue which was last year named best new entry in the Good Food Guide which also named Mr Foster the best up and coming chef in 2012. Writing on the Salt website, Mr Foster said he had always wanted his own restaurant but he never thought it would happen. He said: "At the beginning of 2016, my wife Rhiain and I decided to take the plunge and try to raise the funds we needed by launching a crowdfunding campaign via Kickstarter. "I quit my job, we put all our savings in and we went for it. "After an emotional &apos;all or nothing&apos; funding drive, where we spent a month panicking over whether it would work or not, we completed the project successfully and raised just over £100,000. "With the additional help of some investors, my dream was set to become a reality." Rebecca Burr, director of the Michelin Guide, said: "Everyone is aware of the obvious challenges currently facing the industry but we&apos;ve been encouraged by the number of new stars that we&apos;ve awarded in the 2019 edition. "What is particularly pleasing is seeing the number of simple little places with great food achieving a star and joining the Michelin family, like Bulrush in Bristol and Salt in Stratford-upon-Avon." Birmingham&apos;s four Michelin-starred restaurants have all retain their status. They are Purnell&apos;s and Adams in the city centre, Simpsons in Edgbaston and Carters of Moseley. Elsewhere in the West Midlands, Peel&apos;s in Hampton-in-Arden and The Cross in Kenliworth both retained their one star.